I’m always looking for new breakfast recipes and I recently came across these. 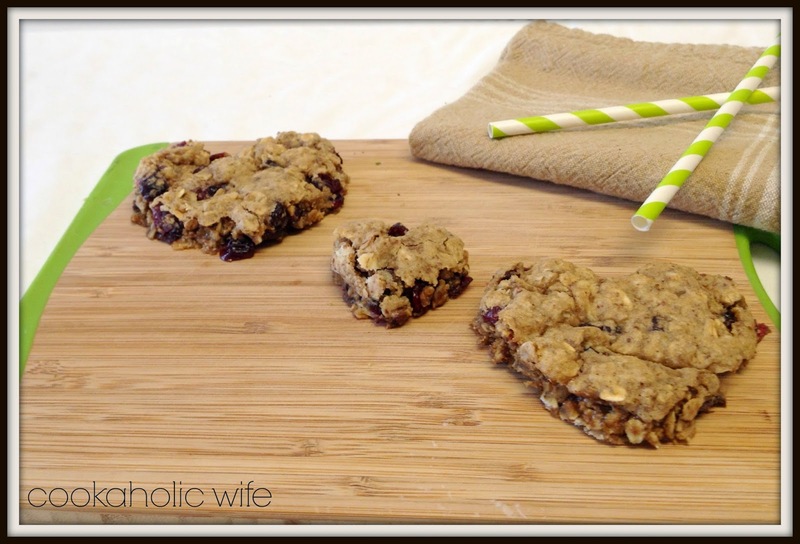 Chocolate, cherries and oatmeal? Where do I sign up? I opted to go the “cute route” and cut these into heart shapes with a cookie cutter. In a 9×13 dish, I got 7 heart cookies with what I believe is a 2 1/2 inch heart. (I’m too lazy to get up and go measure it). I also used a smaller maybe 1 inch cookie cutter to cut out smaller hearts. 2. Combine oats, flours, flax seed, baking soda and salt together in the bowl of your stand mixer. 3. Over low heat, melt the butter, then remove from the heat and stir in the brown sugar until smooth. 4. Add the sugar mixture to your mixer and beat until well blended. 5. Add the cherries, egg, vanilla and nutmeg and mix until combined. Fold in the chocolate by hand. 6. Spread the mixture evenly into the prepared baking dish. Bake for 15 minutes. 7. 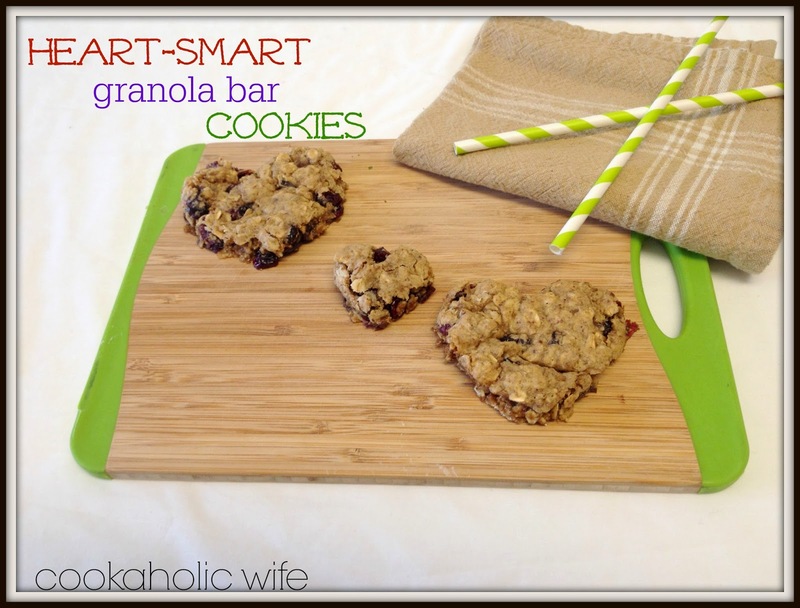 Allow to cool partially before cutting into bars or using cookie cutters to cut out shapes. The only way I can think of to describe this is to tell you to picture adding chocolate chip cookie dough to an oatmeal cookie and then mixing in dried cherries. These were absolutely delicious! I cut hearts out of mine and had them for breakfast each morning.